Candice Marie's Closet: Summer Trend: Leopard Nail Art. I am typically not a nail person. I do not have the patience to let my nails dry at home. I easily am distracted and can't sit still, who's with me on this? I think the last time I did my own nails was over a year ago. Don't get me wrong, polished nails are a MUST...I just prefer someone else to do them for me. I also just like that little bit of relaxation you get when getting your nails professionally painted. 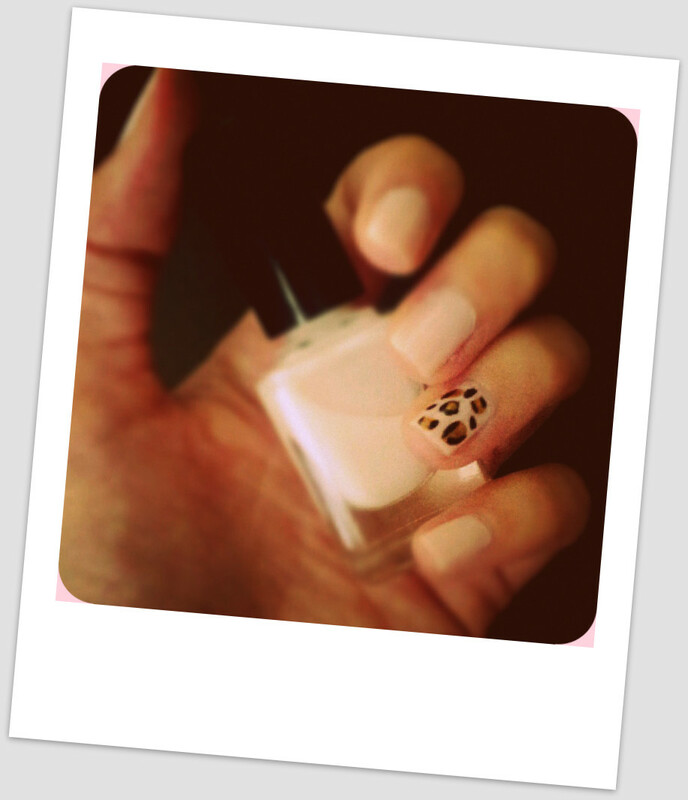 A few days ago I tried something new, the leopard print accent nail. I was shocked I didnt A. mess it up and B. it was fairly simple. I knew if I did all of my nails in the animal print, I would get sick of it after a day...so I stuck with the one accent nail.